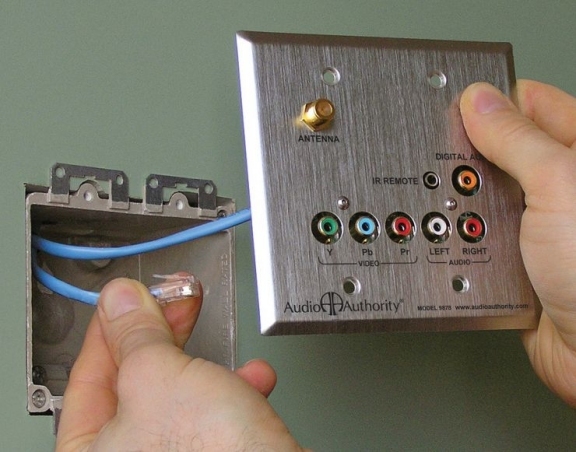 Distribute HDTV signals to multiple rooms with our DuoDrive Cat 5 HD signal distribution system. 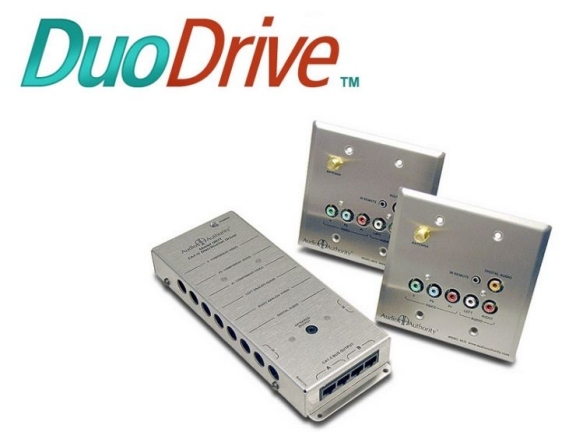 Each DuoDrive (Model 9870) serves two remote locations. The DuoDrive incorporates the key signal paths necessary for premium audio and video entertainment, plus an IR pathway for easy remote control of AV components. All this over just two inexpensive, easy to install Cat 5 cables. The Model 9871 Cat 5 Driver distributes HDTV signals up to 1,000 feet from the source. 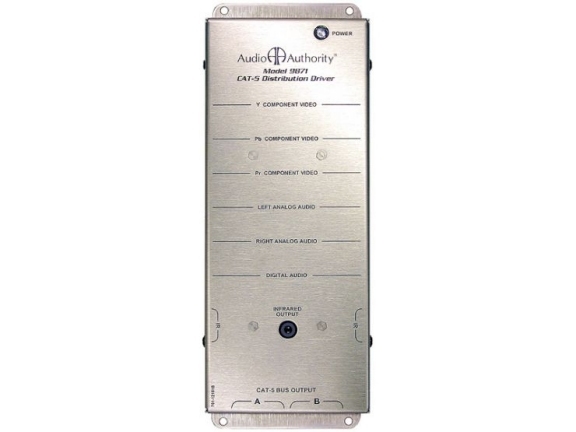 The 9878 Wallplate/Receiver is easy to install in a standard dual-gang electrical box. 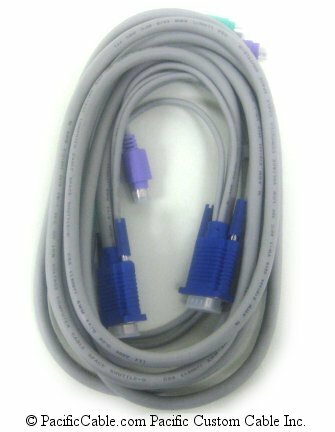 Two Cat 5 cables deliver component video, digital audio and analog audio to each wallplate. If antenna connection is desired, run a separate coaxial cable to the RF antenna pass-through jack. The 3.5mm IR jack provides a convenient pathway for a third party IR remote distribution network. It is a passive, three-wire pathway on the Cat 5 bus, so it can pass IR signals either way. IR receiver and emitter equipment not included. Our unique cable length compensation allows adjustment for the optimal signal strength at any distance up to 1,000 feet from the source. Like our commercial video distribution products, the DuoDrive provides reliable ground isolation, preventing hum bars and other artifacts associated with ground loops. It's easy to expand a DuoDrive to any size. Simply stack additional 9871 Drivers using our Kit 46 stacking kit, or connect using high quality RCA cables. An unlimited number of wallplates may be served in this way. 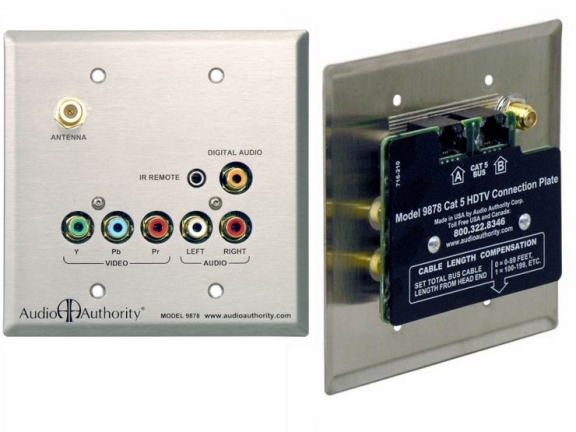 The RCA bus output may be used to feed HDTV signals to a local video display and/or sound system. See the Installation Manual for details. While the DuoDrive is ideal for new construction or an existing home, it does require special knowledge and tools to install. We suggest you contact a local custom home installation specialist. Many installation specialists are members of the Custom Electronic Design & Installation Association and can be located through the CEDIA website.